Bitcoin Gold (BTG) operates on its own blockchain. BTG is minting through the mining process. The total supply of Bitcoin Gold that will ever be issued is 17.51 Million coins, and the current supply of BTG in circulation is 17.51 Million coins. 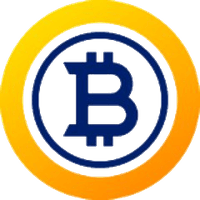 Current Bitcoin Gold price is $ 15.87 moved down to -0.30% for the last 24 hours. All time high (ATH) price of Bitcoin Gold reached $ 630 on 12th Nov 2017 and fallen -97.5% from it. Bitcoin Gold's share of the entire cryptocurrency market is 0.15% with the market capitalization of $ 277.99 Million. Bitcoin Gold’s 24 trading volume is $ 13.34 Million. It is trading on 51 markets and 24 Exchanges . Find more details about Bitcoin Gold cryptocurrency at the official website and on the block explorer. Bitcoin Gold price Index provides the latest BTG price in US Dollars, BTC and ETH using an average from the world's leading crypto exchanges. The Bitcoin Gold to USD chart is designed for users to instantly see the changes that occur on the market and predicts what will come next. Bitcoin Gold is a community-led project to create an experimental hard fork of Bitcoin to a new proof-of-work algorithm. The purpose for doing this is to make Bitcoin mining decentralized again. Satoshi Nakamoto’s idealistic vision of “one CPU one vote” has been superseded by a reality where the manufacture and distribution of mining equipment has become dominated by a very small number of entities, some of whom have engaged in abusive practices against individual miners and the Bitcoin network as a whole. Bitcoin Gold will provide an opportunity for countless new people around the world to participate in the mining process with widely-available consumer hardware that is manufactured and distributed by reputable mainstream corporations. A more decentralized, democratic mining infrastructure is more resilient and more in line with Satoshi’s original vision. Perhaps, if the Bitcoin Gold experiment is judged by the community to be a success, it may one day help build consensus for a proof-of-work hard fork on Bitcoin itself.